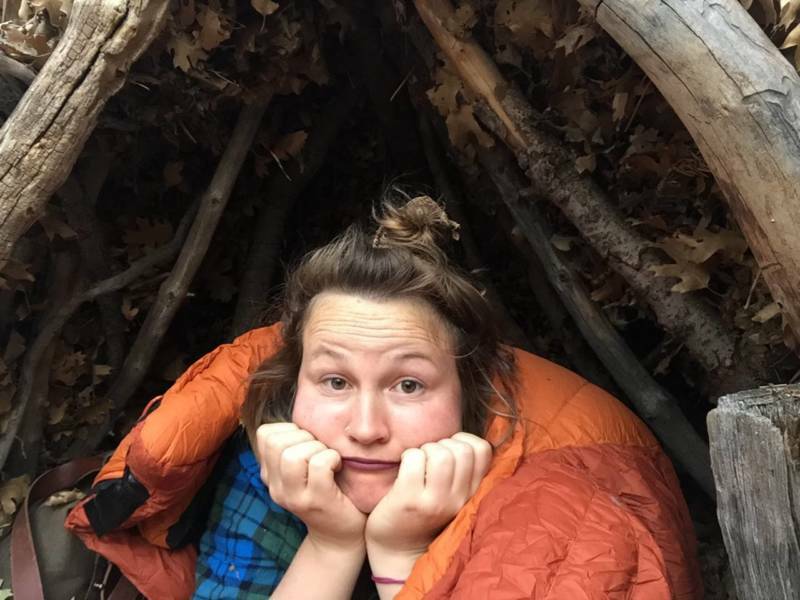 In November, I was sent to a survival training in the San Bernadino Mountains. 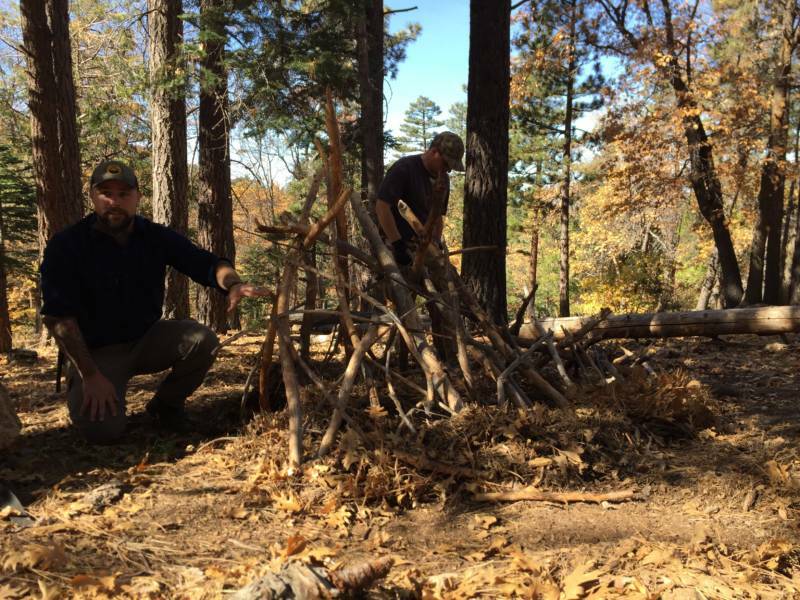 It was a weekend-long camp in the woods designed to learn essential skills in wilderness survival from ex-military personnel. 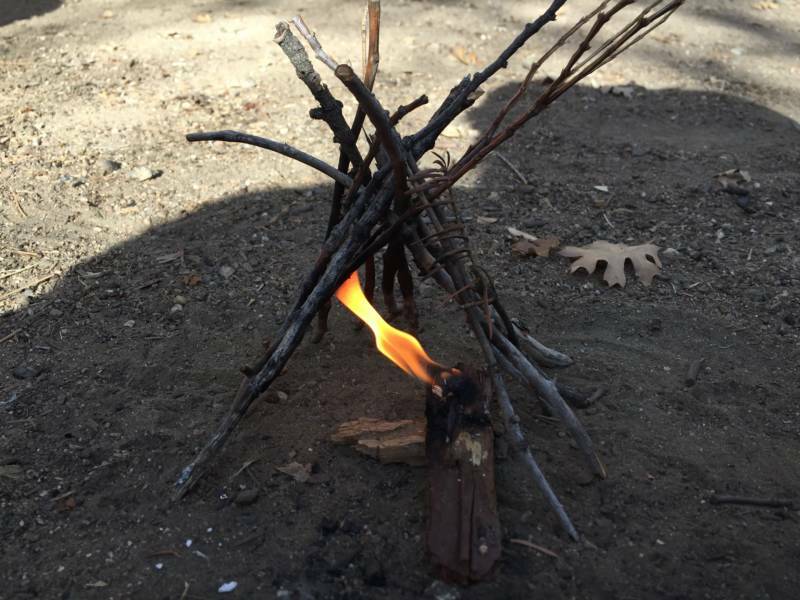 I learned a wide array of skills over the course of my weekend in the woods: how to make fire, emergency signaling, navigation by both the stars and the sun, building my own shelter, first aid, finding and using medicinal plants, making rope and flotation devices from reeds, and what bugs you should and shouldn’t eat. Thomas Coyne Survival School has trained many branches of the military and law enforcement. But it also trains just normal, everyday people who want to learn to survive in an emergency. Joe Hernandez is a tech sergeant in the U.S. Air Force, stationed at the Los Angeles Air Force Base. He was one of the course instructors and became my adventure buddy for the weekend. “There’s so many other lessons that you can learn from survival and survival classes, because it's not just about what kind of bugs you can eat, or what kind of plants you can eat, or knowing how to build a shelter,” said Hernandez, as he cut into a dead log with his large knife, looking for bugs. 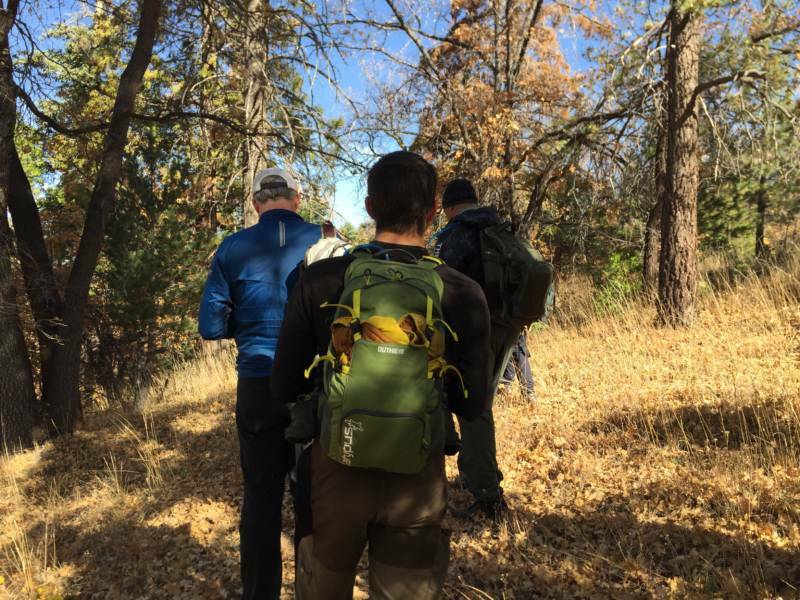 Part of why I did the training, besides John Sepulvado thinking it would be funny for me to eat bugs, was that I was fascinated by what it’s like to survive in the wilderness or in enemy territory on the nutrition of insects. Now, according to Hernandez, bugs show warning signs. Their colors will tell you if you can or can’t eat them. In general, you should try to eat the larvae or eggs of bugs, because they are high in fat and protein, and probably don't have any parasites. Parasites are a big factor in why you can eat some bugs and their larvae raw, but not others. Crickets get a large parasitic worm called the Horsehair Worm. So you want to cook them whenever possible. Roly-polies are actually a crustacean and should be boiled just like a tiny lobster. “Some bugs have a natural defense built into them in the form of maybe a poison or a toxin or some claws, or they have bright colors, or something like that. We don't want to eat them,” said Hernandez. Hernandez set out with me to show me how you find bugs, which ones you eat, how you prepare them, how nutritious they are, and what bugs taste like. 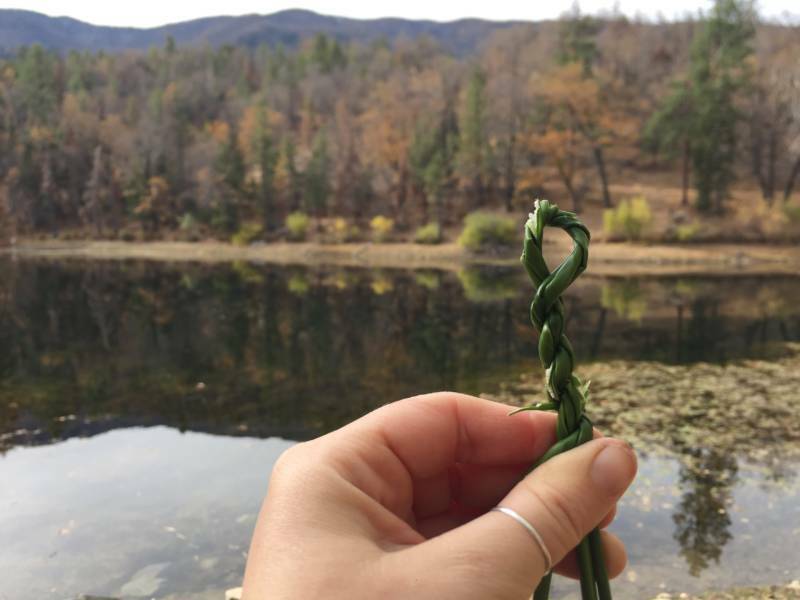 7,000 feet up in the mountains in the Fall, the bugs proved hard to find. But we finally found some worms at Jenks Lake and ate them. And... they really weren’t that bad! A bit rubbery, kind of gritty. Sort of like a flavorless gummy worm. Now, many people in different countries around the world eat bugs. Researchers agree that insects have incredible nutritional value and could even help solve environmental problems because of their low cost and minimal carbon footprint. But the majority of people in the U.S. just haven’t gotten on board. Dr. Mark Hoddle, entomologist at the University of California Riverside, says farming these micro-livestock as our future meat source just isn’t that likely. In the U.S., eating insects is a fringe market. In part because Americans think bugs are gross. He says scaling up production to produce tons and tons of insects on bug farms could have unintended consequences. Farm workers could develop allergies, or production could be wiped out if farmed bugs contract an insect disease. There aren’t any vaccines you can give to bugs yet. Okay, so maybe people in the U.S. aren’t going to swap eating steaks for beetle larvae anytime soon. But now I can tell you, if I get lost in the woods and have to eat bugs, they really aren’t that bad.